There are several factors that influence the size, shape, and appearance of abdominal muscles. We will first look at a few that are determined by circumstances beyond our control and then address those things that we can change to achieve results. The appearance of the abdominal muscles is much like a fingerprint, in that there are no two exactly alike. This is because they are largely affected by genetics. In some people the abdominal muscles appear flatter and symmetrical. In others, the abs may look crooked and more rounded. The abdominal muscles are also affected by gender, age, body type, and hormonal changes. Many women past the age of 40 will experience laxity in the lower abdominal muscles due to hormonal shifts in the body. Some individuals have a body type that is more muscular with less body fat. These people will generally find it easier to reveal their abdominal muscles. Instead of focusing on things that are out of your control (genetics, gender, age), find specific ways that you can make improvement to your abs. These include nutrition, cardio exercise, and resistance training. Nutrition: The foods we choose account for 70 to 80% of the results we achieve. Even a few simple changes to your eating habits can make a big difference and bring you closer to improving those muscles. Cut back on sodas and alcoholic beverages which are high in calories. Decrease sugar. Instead of having dessert every night. Try having your favorite dessert once a week. Avoid skipping meals, which can lead to binge eating. Instead eat smaller meals more frequently. Stay clear of mayonnaise, butter, sauces, and salad dressings which can be high in fat and calories. 1 lb of stored fat contains 3,500 calories. Cutting 300 to 500 calories out of your daily diet for 1 week will bring you closer to your goal. This could be as simple as cutting out two 16 oz cola drinks or a Grande Frappucino coffee drink. Cardiovascular exercise: Cardio is another tool for reducing body fat and ultimately revealing the abdominal muscles. Including two HIIT (high intensity interval training) sessions per week will increase the amount of fat and calories you burn for 24 hours, ensure most of the weight lost comes from fat stores, and potentially allow you to preserve your hard earned muscle. Keep in mind that HIIT sessions should be combined with steady state cardio days for maximum results. Resistance training: It is one thing to shed fat to reveal the abdominal muscles. However, if you have not made the effort to work those muscles, there will be nothing to reveal. Incorporate abdominal training into your routine 3 times per week. Make a serious mind-muscle connection each time you work your abs. Concentrate on the muscles you are working, and avoid simply going through the motions. Add variety to your routine by incorporating several different types of exercises. Add weight to some movements to build size so that the abdominal muscles push against the skin. However, avoid doing everything weighted. You want to add shape, but do not want to thicken the waist or have muscles which protrude. Specifically target the lower abs which are often neglected and are typically more difficult to develop. 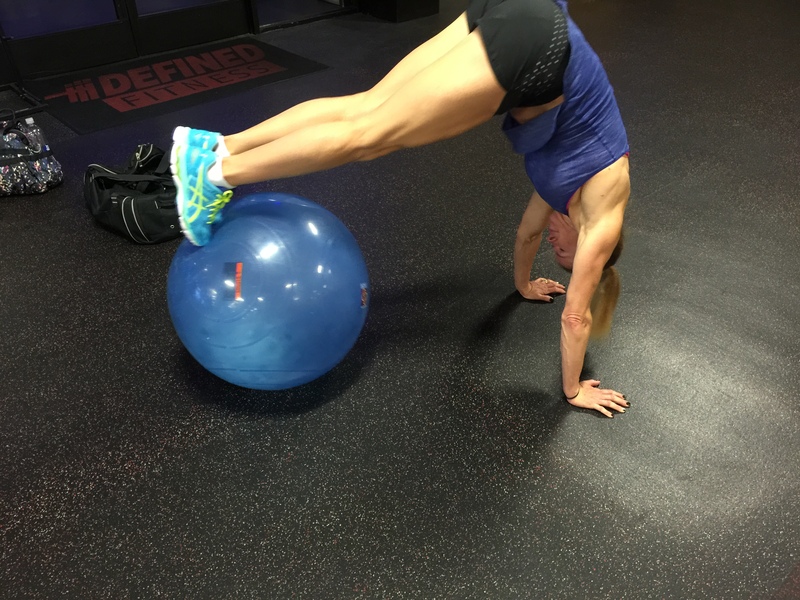 Here are a few of my favorite abdominal exercises. As allows, modify to address your fitness level and goals. Marion Webb. ACE Fitness, Workouts and Programs, The Awesome but Elusive Six-Pack Effect. Appleby, Maia. The Truth: How to Burn Abdominal Fat. Sept 15, 2014. Ashley Kaltwassar. Fitness RX for Women. 7 Tips for Awesome Abs. Team Fitness RX: Fitness RX for Women. Cardio Best for Decreasing Abdominal Fat. March 2, 2015. Jane Brody. Why Your Workout Should Be High-Intensity. The New York Times. January 26, 2015. This entry was posted in Abs by carolcovino. Bookmark the permalink.